This healthy take on classic banana ice-cream is super simple to make, contains only three ingredients and tastes amazing. Peel bananas and slice thinly. Place is freezer bag and freeze for 4 hours. Place frozen banana slices in a food processor or blender and blend until they become creamy in texture. At first the mix will appear crumbly but keep blending – they will soon develop a smooth, creamy whipped texture. 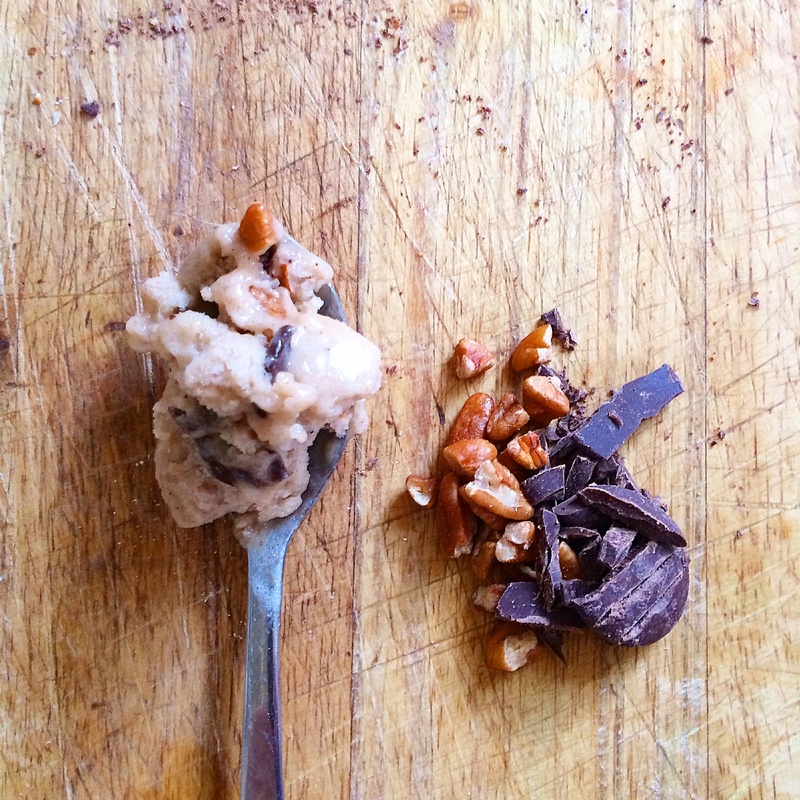 Remove from blender and stir through the pecans and dark chocolate. Place in freezer proof container and freeze until firm. You can make this with or without the chocolate and pecans and can add other combinations of ingredients. We love honey, cinnamon, almonds and white chocolate too. Enjoy!